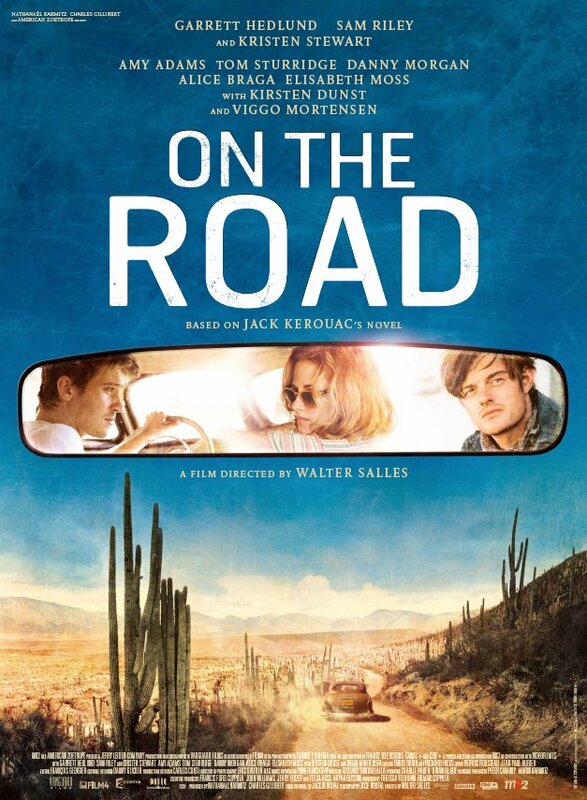 We all know Walter Salles can make a road movie. A really good road movie. On The Road proves it beyond a doubt. As I watched, even in the first few minutes I understood that I was in a world authentically captured, in a time past but shown to me to be alive, and an energy of reckless passionate immediacy that in my generation’s span has been transmuted to people’s thumbs and small glowing screens. I think I liked almost everything about On The Road, the people in it that pulse and are raw with questions, ideas, feelings, senses, abandon, and an aimlessness that is the ultimate aim. Here’s to being alive, to living, and to life Carlo says. Salles film lives, and isn’t afraid of its subject matter or where its source material dared to tread. Salles’s film has the feeling of being a window into a time. Perhaps it is the kind of lives, the kinds of streets, faces, apartments, and clubs that are explored, but the grime and unkemptness, the breathless moving fever of it seems many times more tactile than a perfectly studied period piece, with clean lines and impeccable manners. The sadness….the grieving….that a film like On The Road engenders is that of a country that doesn’t exist anymore. What Sal, Dean, Marylou, and company did isn’t something that can be done with the kind of watchful eyes, cumbersome laws, and psychology of fear and suspicion in the United States now. Maybe something like their odyssey can find facsimile, but we live in a different time, and rightly so, the Dean Moriarty and Sal Paradise of this day are waging a different kind of existential battle, and their odyssey will look and feel thusly unique. The cast does an admirable job on all accounts, particularly Garrett Hedlund’s turn as Dean. He has an echo of Heath Ledger in him, and a touch of the same adventurous purity. Tom Sturridge as Carlo is another gem of this ensemble, and embodies a self that is almost imprisoned by the freedom of their mind and ideology of openness. He feels like someone we know, someone we have seen as a blossom so eager to burst, knowing that to bloom is both to become and to rush towards death. His character crackles with tactile nature. The cast roll and sway and shake and cry and scream and laugh with punches that this story dolls out in a ceaseless movement. They spout dialogue as natural as it is rehearsed, crude as it is Shakespearean, all with a sense of honesty. On The Road is exquisitely shot, not with paralytic refinement but with a gorgeous sense of natural light and gravity. Gustavo Santaolalla can do no wrong as a composer either. I urge you to listen to the soundtrack with commentary by Santaolalla on Spotify. He has such a nuanced approach to mood, tone, and references and the result is something Jazzy and rough around the edges but equally delicate. And yes…. there is voice-over-narration. We all knew there would be, and to be honest we were kind of craving it weren’t we? Once it starts, it feels right in a picture like this one. On a cool bright Wednesday morning, with blue sky and sun filling my apartment, On The Road fit the mood of the day like a glove. I may have been wearing those rose colored glasses we all have, waiting for when the moment fits the mood that blinds us to fodder for critique, but for the time being I think I’ve been swooned. I might sit down and read that book by that guy that this movie is based on….for the first time. On the Road is currently playing at the Ritz East.